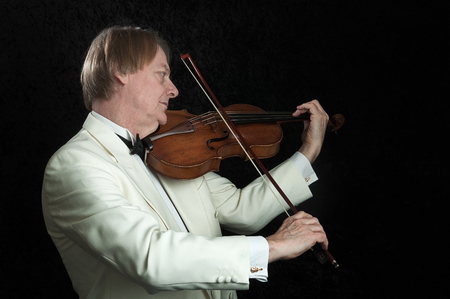 Why are viola scales and arpeggios so important for the violist? This question is discussed throughout this website as viola scales, along with violin and cello scales, form the basic left hand viola finger positions. The importance of practising regularly viola scales and arpeggios can't be stressed enough. Viola scales, violin and cello scales should be practiced daily. Scales can also be used to develop the right hand to further bowing technique. The viola finger chart or scale chart is an indispensable aid to improving the recall of scales. The viola finger chart along with the violin and cello finger charts (page169) may be copied many times in order to record written notes and to build up a comprehensive knowledge of viola finger positions. Written documentation should include practice dates, metronome markings for gradually increasing the tempo, and a range of bowings that need to be rigorously documented. Eventually the scales for viola will become purely a vehicle to enhance facility and tone production. Only then will a thorough track record be attained. Viola chords along with violin and cello chords must not be neglected. 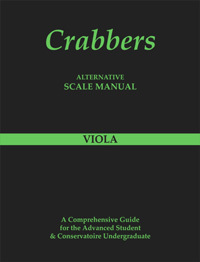 Chords within the Crabbers Scale Manuals include thirds, sixths, octaves and tenths. An advanced knowledge of these scales will form an excellent grounding to ease the technical demands made by the pedagogue etudes of Campagnoli, Kreutzer, Hoffmeister, Lukacs etc. It is therefore important that the correct book is used for the level of the student. Scales are neglected at the students peril.